Summers and sangrias are almost synonymous. What better way to beat the heat than by sipping on some delicious chilled wine with succulent seasonal fruits to chew on in between the sips. And the more flavours it comes in, the better! So, before the summer ends (and the rains have already started! )head over to Bombay Brasserie which has a whole menu dedicated to just sangrias. You see why we can’t keep calm? Five different variations of the sangria are on offer, and they’re mostly fruity and fresh. 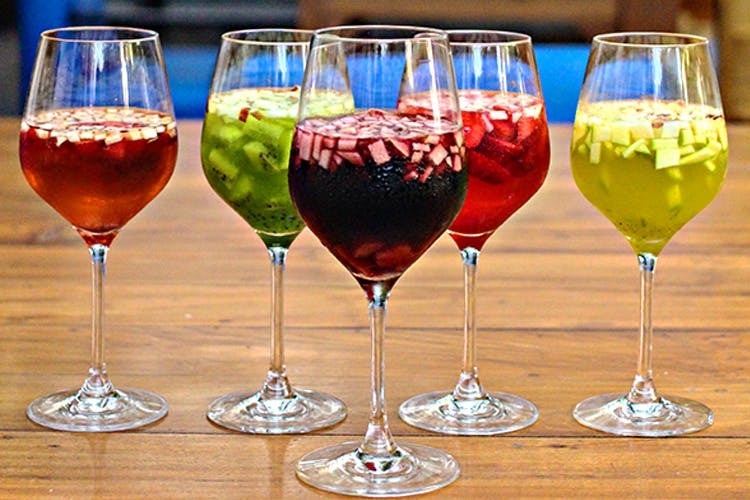 Pick from strawberry, kairi, summer berry, kiwi and the classic red sangria, each for INR 475. If you’d like, go ahead and take your pals and order a pitcher (or more) for INR 1,800.